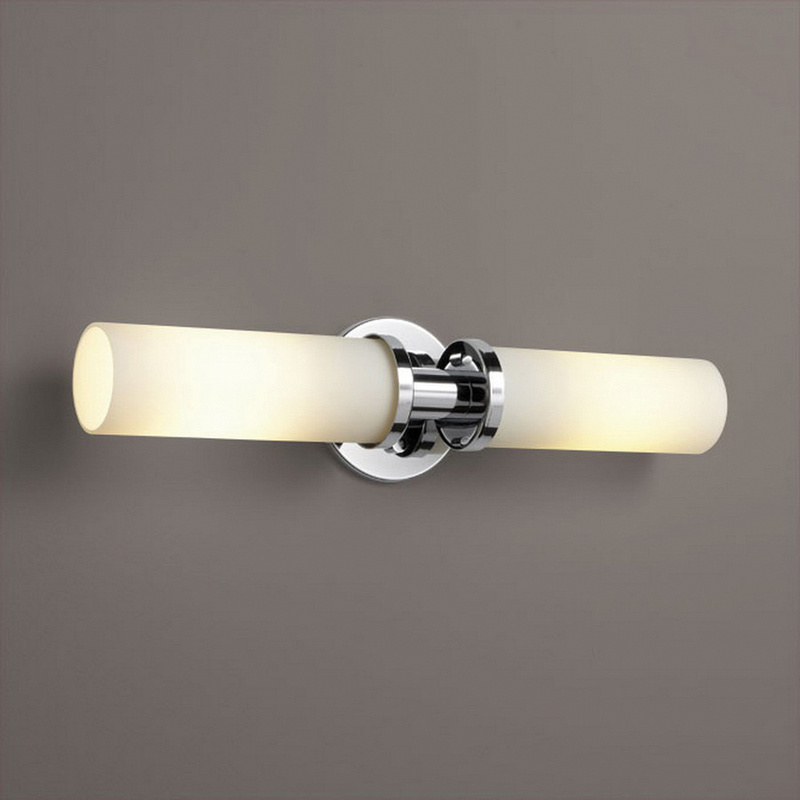 Oxygen Lighting Pebble Collection 2-Light vanity fixture in polished chrome finish, features cast and machined steel construction. The white opal glass diffuser creates soft light to the surrounding. This fixture uses two 60-Watt medium T10 incandescent lamps that have voltage rating of 120-Volts. It measures 20.5-Inch x 4.25-Inch. Fixture is C-UL, US listed and ADA compliant.